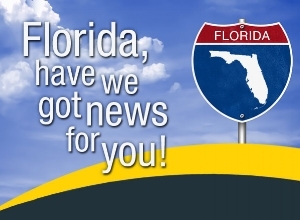 FDOT Contracts — Florida Transportation Systems, Inc.
Click to read blog post "Great News!" The Transit Research Inspection Procurement Services Program (TRIPS) provides agencies and qualified customers a means to procure vehicles. Florida Transportation Systems, Inc. (FTS) was awarded two contracts in April 2017 for Goshen Coach and Collins Commercial Buses. These new contracts are in addition to the existing Braun Minivan contract. For more than 30 years FTS has provided solutions to a variety of transportation needs with products to meet any customer’s requirements. Take a look at all we have to offer and let us know how we can best meet your needs. Florida Transportation Systems, Inc was awarded the attached TRIPS contract to provide Goshen Coach Cutaway Type Vehicles in various lengths and on various chassis and chassis sizes. Florida Transportation Systems, Inc was awarded the attached TRIPS contract to provide Collins Ford Transit Cutaway Type Vehicles. Florida Transportation Systems, Inc was awarded the attached TRIPS contract to provide ADA Compliant Lowered Floor Minivans. Florida Transportation Systems, Inc was awarded the attached TRIPS contract to provide Eldorado Commercial - Medium Duty Type Transit Buses .